Sadly, there is no complete Urtext edition of the music of Liszt, not even of the complete piano music. In some respects it is Liszt’s fault: he did not “tidy up” his work-desk, and many early drafts, alternative texts and odd manuscript versions which differ from published scores continue to turn up. He was also one of the most prolific composers, with a composing life of some sixty-five years, matched with a daily industry and conscientiousness which parallels Schubert, but at greater length. There remain many works which have never been printed. The Franz Liszt Stiftung, through Breitkopf and Härtel, published 33 volumes until the Second World War brought the enterprise to a premature conclusion. This edition produced the two symphonies, the symphonic poems, various orchestral works, some of the concertante works for piano and orchestra, two of the masses, the Requiem and most of the sacred choral works without orchestra, eleven volumes of original piano music and three volumes of transcriptions and fantasies [Wagner and Beethoven]. These volumes were all reissued in smaller format by Gregg Press in the late 1960s, and in paperback by Kalmus - without the critical apparatus - in the late 1970s. Some selected works from this edition have been reprinted in various volumes published by Dover. The edition is generally of a very high standard for its day, and it strives to include many variant versions of the works, especially in the songs, choral works and piano music. The Neue Liszt-Ausgabe, from Editio Musica Budapest, has been appearing regularly since 1968, in hardback, paperback [without the critical apparatus, but with the historical information provided in the prefaces] and in paperback offprints of single works or small groups of kindred works. To date, this edition is confined to the works for solo piano. Although the critical apparatus of this version does not reprint unfinished fragments or cancelled passages - which the Breitkopf edition often does - this edition first sought to represent the standard text of the final versions of Liszt’s completed works. Earlier versions of many pieces are now included in appendices or supplementary volumes. [Works requiring editorial completion, like the Paganini Fantasy or the Figaro/Don Giovanni Fantasy, appear in separate editions from EMB.] To date, eighteen volumes of original piano music, twenty-four volumes of fantasies and transcriptions, and ten supplementary volumes have appeared. 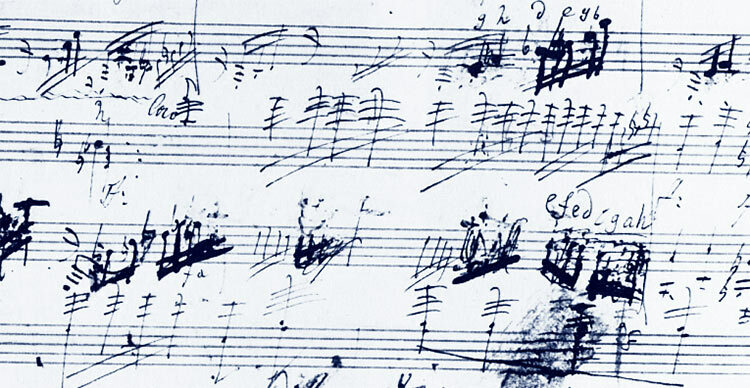 The only complaint one could raise is that many probable slips of Liszt’s pen go unremarked - for example, the Dante Sonata still awaits a really good edition, since more than half of the so-called Urtext is reproduced from the hand of a copyist who was not entirely reliable, and some of Liszt’s over-writes were made in apparent haste and without scrupulous attention to accidentals. Liszt Society Publications - originally published by Schott [vols. 1-7] but now by The Hardie Press. Much of the material in the early volumes came reprinted from the Breitkopf collected edition, but various works appeared for the first time. As each volume has required reprinting, the texts have been carefully corrected and supplemented. Full details, prices and ordering information can be found on the Hardie Press website at http://www.hardiepress.co.uk. The Liszt Society Journal – Music Section: The Music Sections of the annual Liszt Society Journal have published or reprinted with corrections many piano pieces and songs, often in versions not included in the collected editions. This material (for solo piano unless otherwise indicated) is issued each year to all members of the Liszt Society, who may also apply to purchase copies of back numbers. See The Liszt Society Journal & Music Section page for a full contents listing. The Russian State Publishers issued a long series of volumes of solo piano music, in excellent editions by Milstein, including a vast selection of the operatic fantasies and many transcriptions otherwise very hard to come by, but sadly all of these Russian volumes are out of print and frequently “missing” from libraries that had the foresight to acquire them. Some of the works in these volumes have been selected and reprinted by Dover. The Liszt Society can supply archive copies to members of this, and much other music by Liszt. Henle editions are few but fine - but it is necessary to remember that the critical apparatus is not always present, and that some of Liszt’s personal peculiarities of notation are not always explained. For example, the “8” sign placed under a note in the left hand always means “add the lower octave”, whereas if Liszt wants a note to be played an octave lower he always writes “8va [or 8ttava] bassa”. This sheds light on the required text of the last bar of the Sonata - seldom encountered correct in performance. [Henle also issued an excellent but very expensive facsimile edition of the manuscript of the Sonata, while EMB have done likewise with the Hungarian Rhapsody XIX.] Henle has issued the Sonata, three volumes of Années de pèlerinage, the Ballades, the Consolations [in an excellent edition by Mária Eckhardt which includes the earlier versions with the original no. 3] and the Harmonies poétiques et religieuses. Before these collections came the editions published in Liszt’s lifetime and those printed in the years immediately after his death. Although these are often our best primary sources, much care must be taken to note that Liszt often altered a work between one edition and another, and in the case of some piano pieces it is very difficult to establish how many authentic editions there are that nonetheless differ in major or minor details. Other editions prepared by various disciples are sometimes reasonable: the Durand editions of the late nineteenth century are quite good, the Schirmer volumes are less so, and there are many famous errors in the Peters volumes edited by Emil von Sauer [although even these are outstripped by the appalling volumes of organ music from Peters “edited” by Karl Straube] which have been reprinted decade after decade without correction. For example, one can only cringe at the famous D sharp introduced into the first Mephisto Waltz at bar 763 - an error played by practically everybody - and that is only one of many mistakes in that work as presented by von Sauer. The Peters edition should be avoided unless it can be diligently compared with an authentic edition. Other editions - Augener, Litolff, Schott - for example - are mostly out of print and, although not entirely dreadful, may be easily bettered. The editions groaning under the weight of performing suggestions such as those of Cortot or Bolet are in the end not particularly helpful, nor yet particularly accurate, and they should only be used on a supplementary basis. Most of the volumes of “Selections” or single pieces printed on either side of the Atlantic [OUP and Associated Board excluded] may be cheerfully passed over. Busoni’s meddlings with Liszt’s texts [like what he called the Figaro Fantasy: leaving out about half of it, such as all the references to the minuet from Don Giovanni, and altering the rest, or his extensive rewrites of the Paganini Studies - as distinct from his editing of the originals in the Breitkopf collected edition] are superfluous, as are the various alterations “for effect” introduced into performances or editions by various pianists who should have known better and whose anonymity will be preserved here. Just as Liszt became a stickler for observing the printed texts of others, so should we treat his texts seriously. If Liszt is only played as a vehicle for the performer, rather than the performer allowing himself to be a medium for the expression of Liszt’s message, then Liszt’s music is lost. Then, perversely, he is also blamed for not being a good composer. Surely there is enough fire and fantasy, wit and intelligence, fervour of faith and hearty humanity in Liszt’s musical texts as they stand!